We held our second meeting today in preparation for the development of Innovation Centers – now at two schools – St. Anthony and St. Luke – Ottawa. Our group continues to grow! Today, we were joined by four enthusiastic student teachers from the University of Ottawa. This project is really building up momentum – having the student teachers with us, ready to volunteer in our schools is wonderful. The partnership between St Luke and St. Anthony is also a new development. We are linked by a very energetic Learning Commons coordinator who works at both of our schools! These projects really need staff champions to work and we have one now! 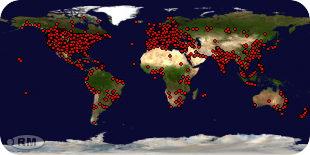 St. Luke is looking for lego, robots and other components from Robo Dome staff – Robodome was a program that developed lego robots using Mindstorms technology. We will then put together a list of what components we have and what we need to purchase. We need to start acquiring these components now! and what we would love – a 3D printer – none of our elementary schools have one of these! We are still looking for funding but we are going ahead to start acquiring components now. Between the two schools, we plan to have enough to run one innovation center. The launching event will be a ‘maker week’ that we will plan with our partners from the University of Ottawa, Blockheads, Maker Junior (we hope) and other creative local groups. The main thing is to get the kids trying this stuff out, innovating, creating, learning – that is where we are heading. 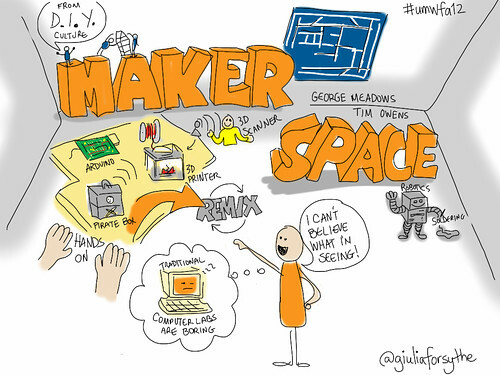 Creating a makerspace – what are the next steps?